MEMPHIS, TN – March 6, 2017- Glankler Brown, PLLC is pleased to announce that Richard J. Myers has been named Vice President of the World Cataract Foundation. Throughout its history, the World Cataract Foundation has made notable strides in accomplishing its mission of helping the world to see. According to its website, the challenge of the Foundation is to play a major role in the efforts to eliminate cataract blindness in many parts of the world through surgery, training, and equipping. Mr. Myers has served on its Board of Directors for five years. Mr. Myers concentrates his practice in the areas of litigation, real estate and public law and governmental relations. He graduated from Cornell Law School in 1992. He also serves on the Dean’s Advisory Board for the University of Memphis College of Arts & Sciences and is a member of the Memphis Bar Association. 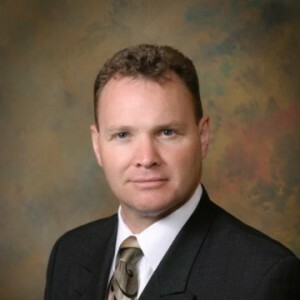 He is the City Attorney to Oakland, Tennessee and has served as City Attorney to Gallaway, Tennessee (2009-2013). He also serves as Special Counsel to the City of Covington and Outside Counsel to the City of Memphis. ABOUT GLANKLER BROWN: Based in Memphis, Tennessee, Glankler Brown, PLLC attorneys represent clients with matters throughout the United States and abroad. In addition to Tennessee, the firm’s attorneys are licensed in Mississippi, Arkansas, Georgia, Illinois, Maryland, Texas, Alabama, New York and the District of Columbia. With experience in more than 35 different areas of law, Glankler Brown’s attorneys deliver quality legal services to local, regional, national and international clients.